Single, Twin and Quad options. Manoeuvre your caravan effortlessly with the e-go Titanium remote control system. 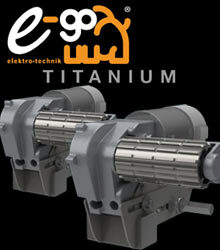 Two motor system for Single and twin axle caravans. Four Motor power for your twin axle caravan at an amazing price. The E-go Titanium caravan mover has been designed and developed around a simple concept - to create a caravan mover that units precision engineering and innovative features - a winning combination. 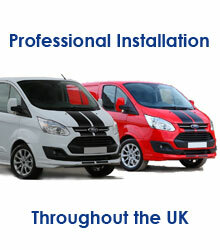 Advanced radio controlled electronics makes manoeuvre your caravan effortless. 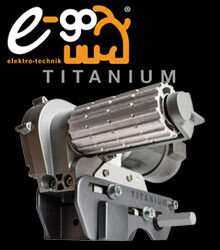 The E-go Titanium is compact and lightweight but does no sacrifice power. The E-go's 12 volt motors allow the caravan to be moved comfortably, safely and reliably, even up 25% slopes and over rough terrain. The latest generation has removed weight from the follers and roller casing to reduce the overall weight of the system, together with a square section cross bar this adds up to a useful weight reduction. The New Titanium also now features a simple over centre cam actino on the roller engagement rather than hand crank or electric drill.